Kaylynda Pearce, teacher at Lakeridge Elementary, received one of the Teacher Incentive Grants and has put the grant to work with the purchase of Sphero devices. 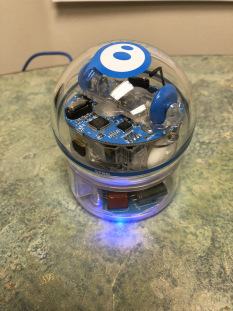 Check out her blog post below: “Sphero Devices Have Arrived!” to see how she is using the Sphero device with her students. No Comments to "Sphero Devices Have Arrived!"